Paragraph 2267 of Catechism, revised by Pope Francis, says “Church works with determination for ... abolition [of death penalty] worldwide”. Pope Francis has approved a new draft of paragraph 2267 of the Catechism of the Catholic Church (CCC), which says that the death penalty is “inadmissible because it is an attack on the inviolability and dignity of the person”. The previous text in the section on the Fifth Commandment (Thou shalt not kill), did not specifically mention the death penalty, but recommended “bloodless means” to defend human lives. The new paragraph 2267, which will be translated into various languages and inserted in all editions of the Catechism, will read “Recourse to the death penalty on the part of legitimate authority, following a fair trial, was long considered an appropriate response to the gravity of certain crimes and an acceptable, albeit extreme, means of safeguarding the common good. “Today, however, there is an increasing awareness that the dignity of the person is not lost even after the commission of very serious crimes. In addition, a new understanding has emerged of the significance of penal sanctions imposed by the state. Lastly, more effective systems of detention have been developed, which ensure the due protection of citizens but, at the same time, do not definitively deprive the guilty of the possibility of redemption. In a speech marking the 25th anniversary of the CCC, Pope Francis requested the change to the Catechism. No matter how the death penalty was carried out, he said, it was “contrary to the Gospel, because a decision is voluntarily made to suppress a human life, which is always sacred in the eyes of the Creator and of whom, in the last analysis, only God can be the true judge and guarantor”. 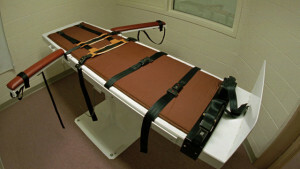 Ireland voted in 2001 to insert a clause in the Constitution prohibiting the death penalty.